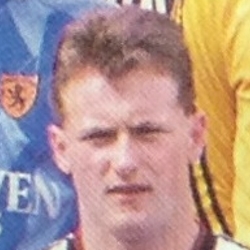 Harry was a defensive midfielder who had been at Dumbarton for three seasons. He signed for United for around £50,000 in February 1987 aged 20 years old, and made his debut in March 1987 against Clydebank at Tannadice. He made further appearances towards the end of that season, as manager Jim McLean rotated the squad for the league games as the club reached the UEFA cup and Scottish cup finals. In three years at United, Harry played mainly in the reserves, appearing sporadically from the substitutes bench in the first team. In August 1989 he joined St Johnstone for a reported £35,000, and wrote his name into their history book by scoring the first Saints goal at the newly constructed McDiarmid Park. The Perth side won the First Division title in Harry's first season there, and in 1991 he faced his old club when United played St Johnstone in the Scottish Cup semi-final at East End Park, scoring the equaliser before United went on to win 2-1. After six successful years he left McDiarmid Park to join Partick Thistle and later played for Dunfermline Athletic, Morton and Alloa Athletic, helping win promotion to the First Division in 2002 with the latter club. Harry then moved to Stranraer, retiring from the game in May 2004. Harry was born on this date in Glasgow. In conditions which starkly contrasted with the U.E.F.A. tie with Barcelona - bitterly cold and little atmosphere - we dropped our first ever League point to Clydebank at Tannadice. The visitor's received an early boost when Dave Narey was short with his pass back and Stuart Gordon nipped in to round Billy Thomson to score. Even before that, Iain Ferguson had gone close but it wasn't until four minutes before the interval that we equalised. Maurice Malpas was fouled on the left Paul Sturrock flighted in the free-kick which was headed in by Paul Hegarty, on his return from injury in typical fashion. 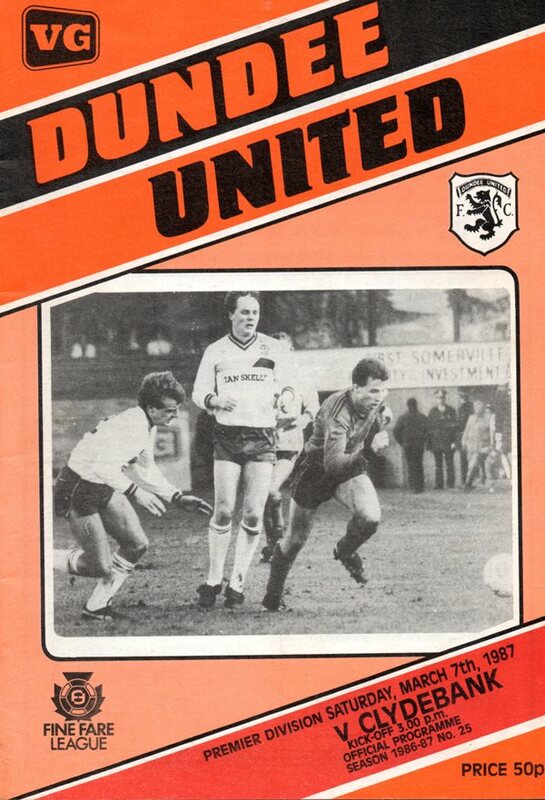 A carnival atmosphere and free admission for the final match of the season attracted 11,503, but it was demoted Accies, who were smiling at the end of the day with rare Tannadice success, their first over us in a Premier match.